NTW’s Front Access Panels are engineered for quick installations and better accessibility. Each panel contains four to eight modules and can accommodate up to 48P in a 2RU configuration. The Front Access Panel accepts standard and high density keystone connectors. These modules are held by natural tension tabs and have no moving parts. Simply pull on the tabs and the modules slide outward. 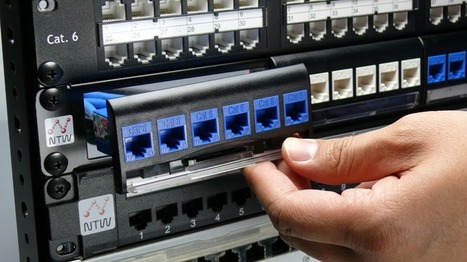 This allows for easy maintenance of connectors from the front side of the panel decreasing the total square footage required per rack space.